Successfully Added 4.3 Inch Bluetooth Rearview Mirror with Built-in GPS Navigation to your Shopping Cart. 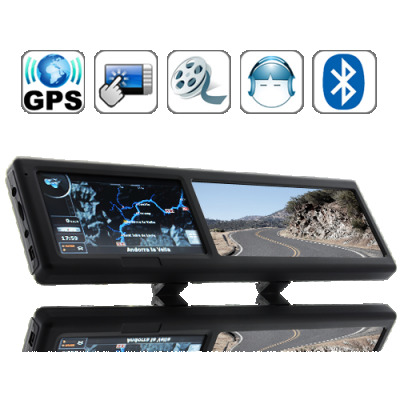 Powerful and fast GPS: Say hello to accurate and reliable GPS navigation with this Bluetooth Rearview Mirror's advanced SiRF STAR III chip. Along with a Centrality Atlas 4 Dual-Core 500 MHz processor, you have fast and up-to-date directions available at your fingertips. Does this unit come supplied with an Micro SD card?